Presented biennially, the Dundas Memorial Lecture features significant new scholarship on the history of Australian art. 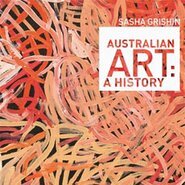 The Gallery has invited Professor Sasha Grishin from the Australian National University to present the 2014 lecture in light of his recent publication Australian art: a history . There have been numerous histories of Australian art published, by William Moore (1934), Herbert Badham (1949), Bernard Smith (1962), Robert Hughes (1966), Christopher Allen (1997), Andrew Sayers (2001) and John McDonald (2008, ongoing). In this lecture, Sasha will discuss what distinguishes his new survey from its predecessors. At over 600 pages, the book presents a detailed analysis of the development of Australian art from early rock art through to the present, examining Indigenous and non-Indigenous art as an on-going dialectic. Professor Sasha Grishin AM, FAHA is an adjunct professor of art history at the Australian National University. He established the discipline of art history at the ANU in 1977 and was the Sir William Dobell Professor of Art History at that university until December 2013. He studied at the universities of Melbourne, Moscow, London and Oxford and has served several terms as visiting scholar at Harvard University. In 2004 he was elected Fellow of the Australian Academy of the Humanities; in 2005 he was awarded the Order of Australia (AM) for services to Australian art and art history. He has published over 20 books and many scholarly essays and articles.